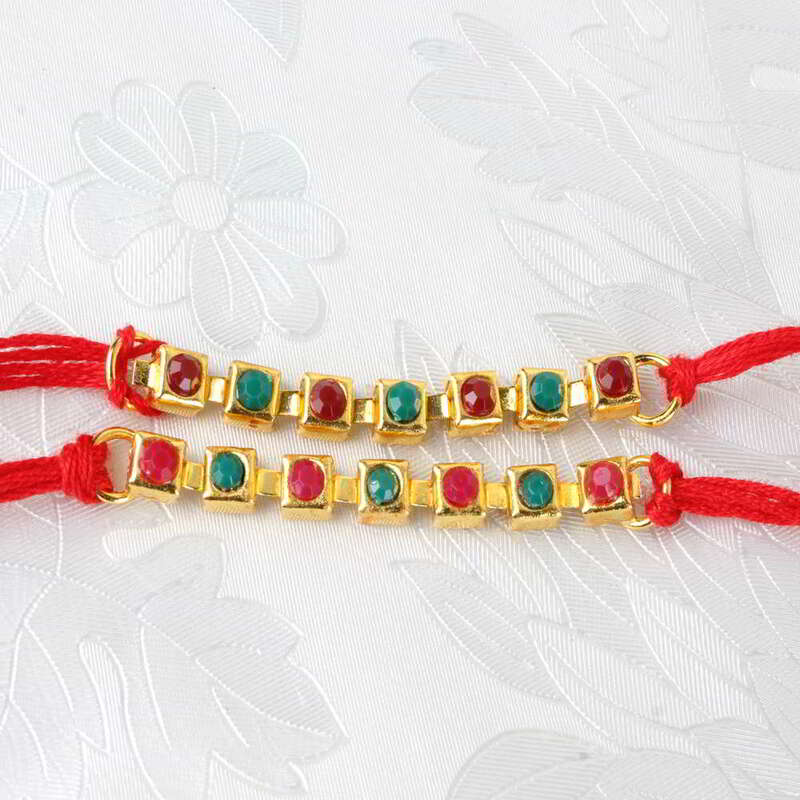 Product Consist: Double Multi Stone Rakhi Thread. 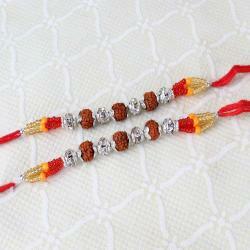 Make happy your brothers with this exclusive Rakhi set. 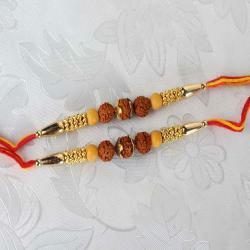 The overflowing love for your brother on this Raksha Bandhan will be conveying with this rakhi set gift. It is all set to bring more beauty to the relations. If you are unable to attend Raksha Bandhan festival this year with your family then you are at right path. 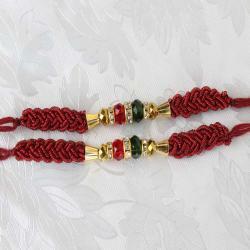 So on behalf of you Giftacrossindia.com will send Rakhi to anywhere in India with your love and blessings. We offer e-online similar rakhi set of 2 for your darling brothers who wanted the blessing with love equally from his loving sister. 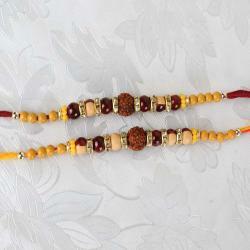 Let the bond grow stronger with this beautiful rakhi set of two. You can purchase the same pattern set of rakhi for this special occasion to celebrate the unconditional love between siblings. Product Includes: Double Multi Stone Rakhi Thread.